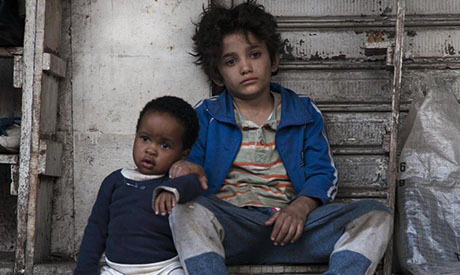 Lebanese director Nadine Labaki won the jury prize for her film Capharnaum at the Cannes Film Festival, to become the first Arab filmmaker in 12 years to win in the official Cannes competition. Capharnaum was also notably one of just three films directed by women competing for the Palme d’Or. The film reportedly earned her a standing ovation that lasted 15 minutes when it screened at the festival on 17 May, with many viewers on Twitter expecting it could win the Palme d’Or. The politically-charged story follows a 12-year-old boy who is suing his parents for giving him life. A Lebanese actress, screenwriter and director Nadine Labaki graduated from Beirut University majoring in audiovisual studies. In her career she made a number of award-winning adverts and music videos. In 2004, she took advantage of a residency at the Festival de Cannes to write her first feature, titled Caramel, which she completed in 2006. It went on to become the biggest international hit in Lebanese film history. In 2007, Labaki was at the Cannes "Directors’ Fortnight" with Caramel, and in 2011 her film Hala Louein? (Where Do we Go Now? ), which she wrote, directed and acted in, was screened in the Un Certain Regard section. This year at Cannes an Egyptian film — Yommeddine by Abu Bakr Shawky — made it to the official selection, the first time an Egyptian director's feature-debut has made the line-up. Two other Arab films were be screened in the Un Certain Regard section: My Favourite Fabric by Syrian director Gaya Jiji, and Sofia by Meryem Benm’Barek from Morocco.